Watch this video before you spend another dollar on your small business marketing and advertising! 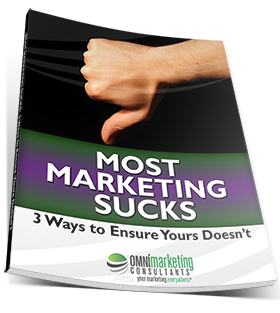 Fix the three BIGGEST marketing problems highlighted in this report and your business revenue will rise to new levels! You'll also get monthly marketing advice and tips to boost your business and trample your competitors. *We hate spam and will never share your info with anyone else. Guaranteed. 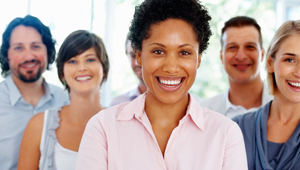 Fix your three BIGGEST marketing problems and your business revenue will rise to new levels! Click the image above to download your free report NOW. Omni Marketing Consultants helps small business owners who are FED UP with wasting money and time on marketing and advertising that generate little-to-no response; produce roll-the-dice, wait-and-see results; and take FOREVER to see a return on investment. We do this by creating compelling, bold, and precise marketing, advertising and innovation strategies. Beginning right now, you no longer have to allow ineffective marketing to misrepresent your products or services, limit your business profits, or ultimately cause your business to fail. If you’re looking for smarter ways to connect with your buyers and get more for your money by getting GREATER, FASTER, PREDICTABLE, AND MEASURABLE RESULTS, we need to talk! We absolutely love to hear from our clients. Drop us a line and we'll discuss how we can help you to stop wasting your marketing dollars. Copyright ©2012-2015 Omni Marketing Consultants. All Rights Reserved.